This listing is for a digital Photo Tutorial. 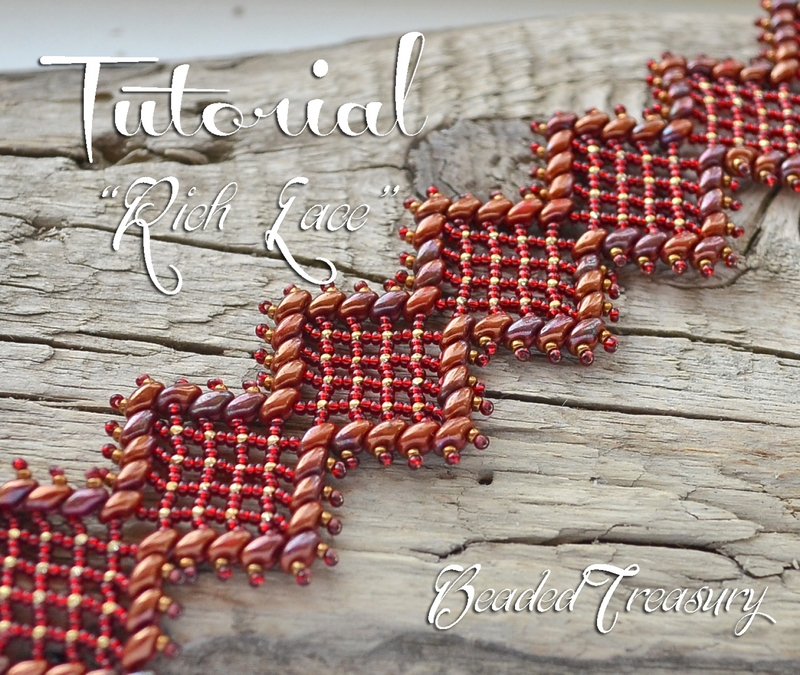 By purchasing this tutorial you will learn how to create yourself this beaded lacy bracelet in rich colors of red, garnet, gold and bronze. You are buying a digital good. 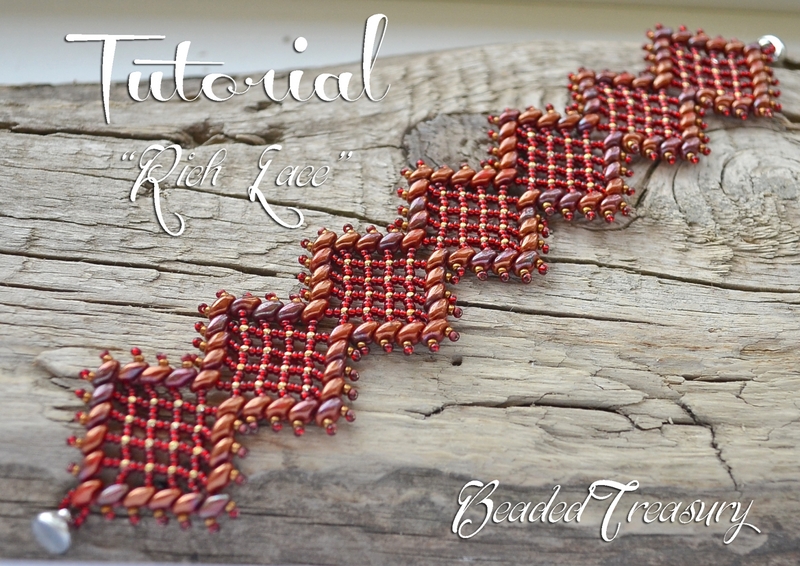 NO finished bracelet will be sent, ONLY the digital pattern that will help you make the bracelet yourself. The tutorial is a .pdf file, you will need Adobe Acrobat Reader to open the document. Instant download is available. When you make your first purchase, you will be given an account automatically with a short password. You will receive an invoice via email with your new username and password at the bottom, and a hyperlink to each of the patterns you just bought so you can download. If you forget the password, you can have a new one sent by selecting "Request new passowrd" in the Log In section (which appears at the bottom of each page of the website). This tutorial is for personal use only. Do not share, sell or copy the tutorial. 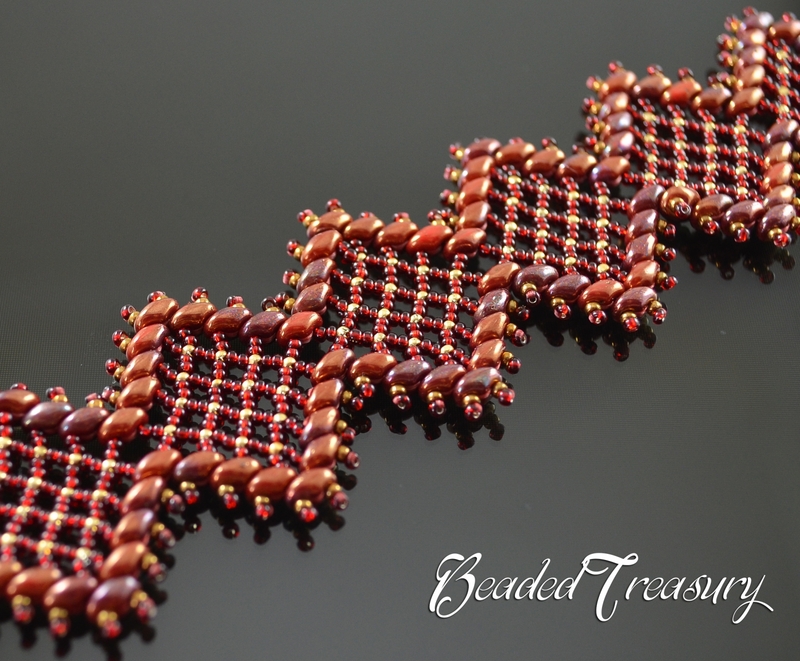 You can sell finished bracelet made from this tutorial - please give credit to the designer (Iulia Postica - BeadedTreasury). Should you have any questions, please contact me. I am glad to help!